The Detroit Zoological Society’s annual Sunset at the Zoo fundraiser, presented by Strategic Staffing Solutions, will be held Friday, June 7, 2019, 7-11 p.m. The “Asian Forest”-themed 21-and-older gala is held rain or shine, and the Detroit Zoo closes at 1 p.m. that day in preparation for the festivities. Sunset at the Zoo offers a strolling supper with tastes of signature dishes from 45 of the area’s finest restaurants as well as desserts and zoo-themed specialty drinks. 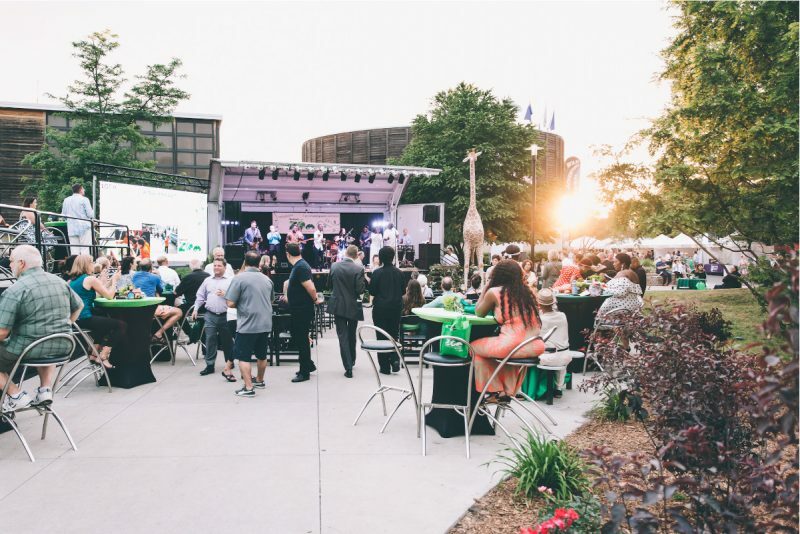 The evening also includes live music by The Jerry Ross Band and Tom Butwin, dancing under the stars, entertainment by Detroit Circus, live and silent auctions, and access to many of the Detroit Zoo’s award-winning animal habitats as the sun goes down. Attire is “summer chic”. This year’s event supports the major renovation and expansion of the tiger habitat, located in the Detroit Zoo’s Asian Forest. Once complete, the Devereaux Tiger Forest will be triple the size and feature many naturalistic elements important to these captivating felines. 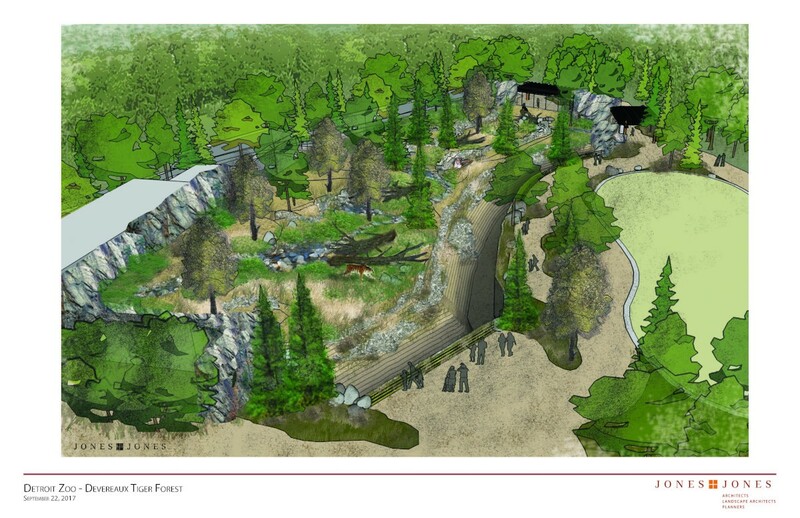 New and enhanced features will include elevated vantage points, open spaces and a cave for the tigers, plus exciting and unique viewing opportunities for guests. Advance tickets for Sunset at the Zoo can be purchased online at detroitzoo.org/sunset starting at $175 for Supporters. Patron tickets are $325 and include a VIP Reception, sponsored by ITC Holdings Corp., in the Asian Forest on June 7, 5:30-7 p.m., just prior to the main event. 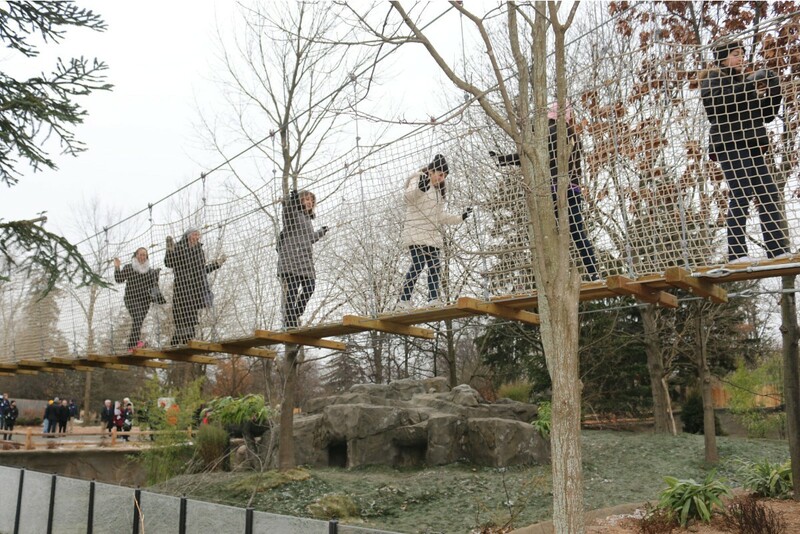 Guests will enjoy entertainment, light hors d’oeuvres and drinks while exploring the viewing areas at the newly renovated Holtzman Red Panda Forest and taking a first look at the Devereaux Tiger Forest. Supporter and Patron tickets can also be purchased at the gate the day of the event for $200 and $350, respectively. Sunset at the Zoo is also supported by The Albert M. Higley Co., The Cotton Family, Grays Outdoor Services, IBEW Local 58, Jaffe Raitt Heuer & Weiss, Kelly Houseman Counseling, Service Systems Associates and Vivacqua Law. The Detroit Zoological Society – a renowned leader in humane education, wildlife conservation, animal welfare and environmental sustainability – operates the Detroit Zoo and Belle Isle Nature Center. With an annual regional economic impact of more than $167 million, the Detroit Zoo in Royal Oak is one of Michigan’s largest paid family attractions, hosting more than 1.3 million visitors annually. Its 125 acres of award-winning naturalistic habitats are home to 2,400 animals representing 235 species. The Belle Isle Nature Center sits on a 5-acre site surrounded by undisturbed forested wetlands on Belle Isle State Park in Detroit. It provides year-round educational, recreational and environmental conservation opportunities for the community. For hours, prices, directions and other information, call (248) 541-5717 or visit detroitzoo.org.